Why was the bar awesome last night, and why are you online looking for songs that you heard and can’t stop humming? Because the DJ was not using speakers the size of soda cans and you actually heard the music as it was intended. Somewhere along the line we accepted anemic sounding music as our norm because travel Bluetooth speakers gave us just enough form and function. Unacceptable! 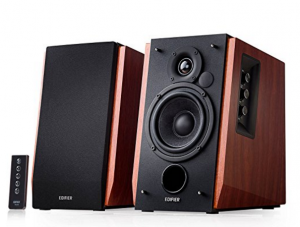 Upgrade to a pair of powerful speakers and you will feel like you discovered music all over again. These are Bluetooth as well as Aux jack ready with the option to add a turntable. You will see what you’ve been missing immediately.